Autonomous drones are the first step towards a new era for the upcoming industry of drone-enabled air travel. Flying cars are no longer fiction, they are becoming a reality. The vision of Air taxis, manned vehicles that will be able to transport people from one place to another, avoiding time-consuming jams, and at an affordable price is happening. The need for a safety solution that is reliable, autonomous and efficient is a mandatory requirement to enable this new market. 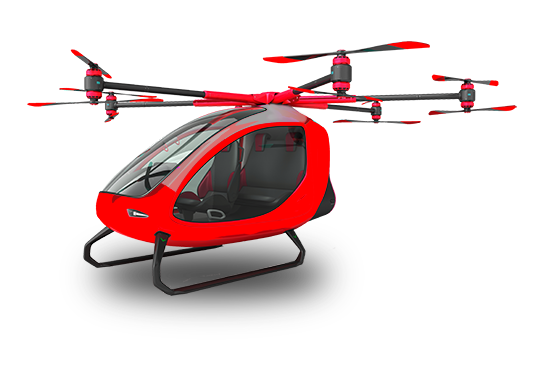 If you are looking for safety solutions for urban air mobility projects, please contact us to receive a quote customized to your needs. Fill in the form and we will get back to you faster than our chute can deploy.